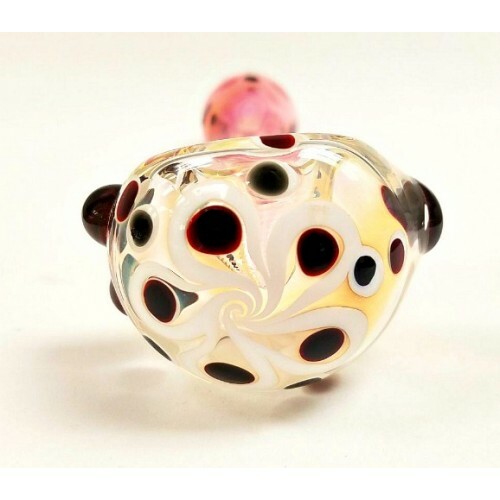 Michelle Connolly Dot Stock Hand Pipes. 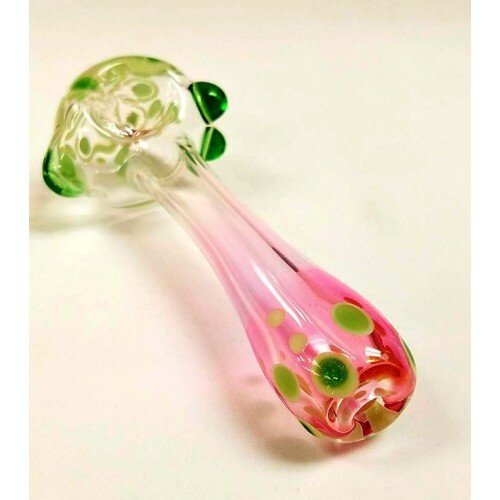 Home » Michelle Connolly Dot Stock Hand Pipes. 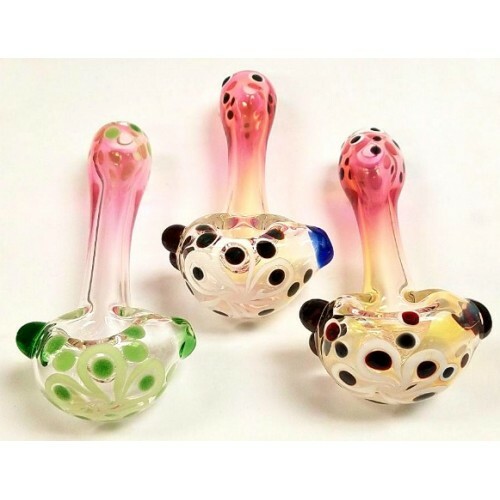 These fumed hand pipes by Michelle Connolly are pretty cool. 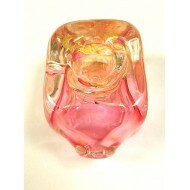 The flower on the bowl of the pipes is accentuated by dot stacks. 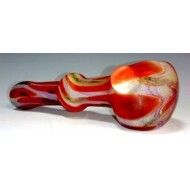 The fuming gives you a reason to use this pipe (as if one is needed) and get it dirty so you can see the colors that are brought out by use. Approximately 5" long and 2.5" wide. Left sided carb and nubbies on the right for decoration and for a better hand hold. Color choice based on the carb color. Available in store or call 410-327-3676 to order. 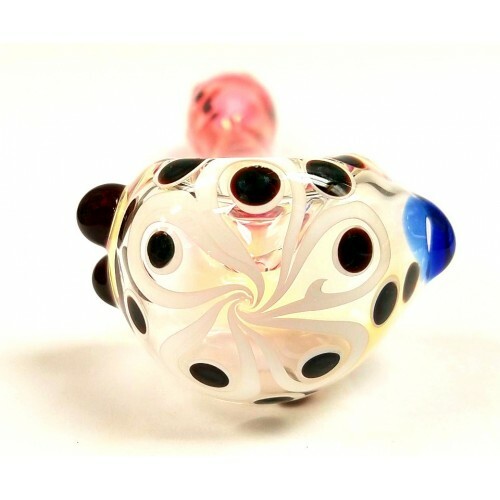 Get your Michelle Connolly glass hand pipes and other gifts and accessories at Doc's Smokeshop in Baltimore, Md.